The authors report on three students' argumentative knowledge construction in an asynchronous online graduate level geometry course designed for in-service secondary mathematics (ISM) teachers. Using Weinberger and Fischer's framework, they analyzed the ISM teachers' a) geometry autobiography and b) discussion board posts (both comments and attached work including solutions to assigned problems and Geometric Sketchpad explorations) throughout an 8-week summer course. The goal was to better understand the key similarities and differences in the nature of their interaction with each other and the course content that may have contributed to the differences in their knowledge construction. Findings led researchers to re-conceptualize a rubric to (1) assist instructors in facilitating productive interaction among students, (2) prepare students to better utilize the discussion board with a critical eye, and (3) provide specific guidelines for a more productive engagement among students, using the framework as a guide. The landscape in higher education has been increasingly moving toward online education (Lin, Dyer, & Guo, 2012; Sloan Consortium Survey, 2008). Because of the convenience fully online courses (synchronous and asynchronous) are progressively becoming more popular (Sullivan, 2001), particularly among professionals interested in advancing their education. In-service teachers are no exception (Hull & Saxon, 2009). In asynchronous courses, one of the most commonly used ways in which students interact with each other is via discussion board posts. Studies have shown that both online instructors and students “continue to face some unique demands including the “whys” and “hows” of online teaching” (Lin et al. 2012, p. 1). 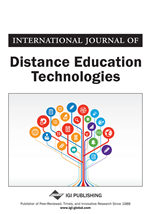 Several studies have-addressed the challenges that online instructors face (e.g., Godwin-Jones, 2012; Ko & Rossen, 2010; Koehler & Mishra, 2009; Moore, 1989; Moore & Kearslev, 2012; Osika, Johnson, & Buteau, 2009) but a limited number of studies focus on students’ perspectives. The researchers Marttunen and Laurinen (2001) and Stegmann, Weinberger, and Fischer (2007) are among few who investigated how online instruction may affect the students’ experiences. Marttunen and Laurinen (2001) argued that because learners have more time and flexibility to formulate their arguments, asynchronous experiences such as discussion board posts might better facilitate knowledge construction. On the other hand, Stegmann et al. (2007) argued that, although “online discussions provide opportunities for learners to engage in argumentative debate, learners rarely formulate well-grounded arguments or benefit individually from participating in online discussions” (p. 421). In their research where they tried using computer-supported scripts to support discourse activities, they concluded that “scripts facilitate the acquisition of knowledge on argumentation without affecting the acquisition of domain-specific knowledge” (p. 421). The characteristics of scripts, particularly external scripts, which facilitate the acquisition of domain-specific knowledge remain to be seen (Fischer, Kollar, Stegmann, & Wecker, 2013).